4th floor galleries: Jade, Furniture, Currency, Minority Nationalities. Sometimes there are temporary exhibitions too, though they are usually not free. Regarding sculptures, some of the most influential come from the period of the Shang (1600-1046 BC) and Western Zhou (1046–771 BC) Dynasties, though in the museum the most important relics are Buddha statues. It is estimated that there are around 120 articles exhibited. Chinese bronze which dates from the period of 1650 BC, was usually found in the tombs of the members of the royal families, in large proportions. The gallery of the museum exhibits more than 400 relics. 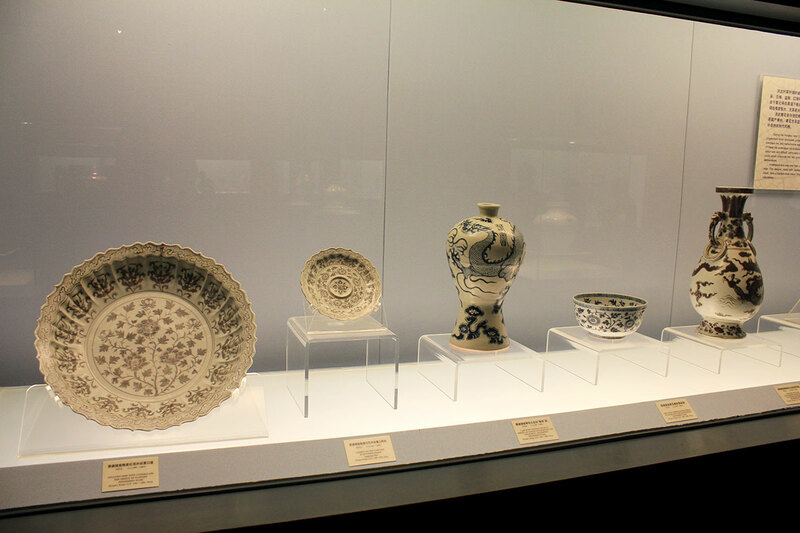 What usually comes to mind when talking about Chinese art are definitely ceramics that are one of its most famous form, and date even from the Paleolithic era. The gallery exhibits more than 500 relics, including those from the ancient period, to some of the more advanced and colorful from the period of the Tang (618–907), Ming (1368–1644) and Qing (1644–1912) Dynasties. Another art that China is quite famous for is definitely calligraphy, and the art of writing in a beautiful manner also has quite long tradition in this country. So, it is not surprising that one separate gallery is devoted to it, containing different works dating back from the period of the Shang Dynasty. Gallery of Ancient Chinese Seals is also one of the very interesting and appealing galleries, showing the selection of the 10,000 pieces of seals, which implies the huge importance of them starting from Zhou (1046-256 BC), up to the period of the Qing Dynasty. The paintings also have an important place within the museum, and more of 120 of them are set in a separate exhibition hall. Lovers of art will definitely enjoy exploring different techniques, dating even before the period of the Yuan Dynasty (1271–1368). Another important material that Chinese people used for centuries in making different things, from small figures, to some other artifacts is jade, and the gallery offers the insight to some of the ancient objects, such as knives, to the articles that belonged to the period of the Qing Dynasty. On the other side, even the furniture in China can be regarded as an art, since every piece of it was carefully made, especially pieces dating from the Ming and Qing Dynasties. Here you may get the impression of the lives of the emperors, their houses and places where they spent most of their times. China was also one of the first countries to use coins, so the museum offers a beautiful collection of nearly 7000 different coins in the Chinese Currency Gallery. The last, but not the least is the Chinese Minority Nationalities’ Art Gallery. Though all of the previous galleries portray the beauties of the Chinese culture, this one that includes minorities is somewhat the most appealing, since it includes costumes, metal wares, sculpture, pottery, lacquer ware, cane, wooden masks and many more pieces that testify the rich heritage of this country. Photography in the museum is allowed, unless it’s indicated otherwise. Volunteers provide free explanations and help between 10 and 14 daily. 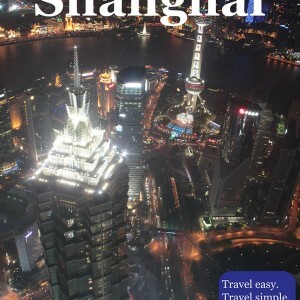 Audio guide can be rented for a price of CNY40 (CNY400 deposit or valid document is required). There are 8 languages available. Shanghai Museum is accessible to wheelchair users. Wheelchairs and strollers can be loan free of charge (CNY300 deposit and valid document or CNY600 deposit is required) at the southern entrance. Cloakrooms are at the southern and northern entrance. Modest restaurant and tea house are in the museum. Entrance fee: Free. Maximum 8,000 visitors daily.